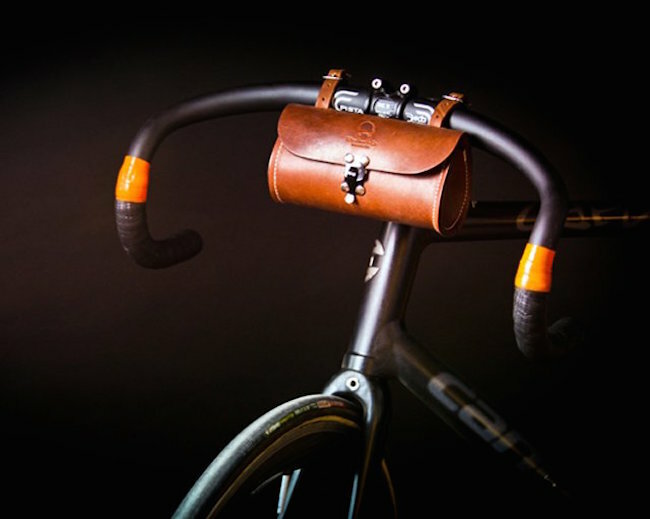 Blacksmith Tool Case by Wheelman & Co.
Handsewn in USA, Wheelman & Co’s latest Blacksmith Tool Case is a classic piece for a modern day bicyclist. It’s a hand-stitched, top grain handlebar tool bag that fits perfectly with your cycling lifestyle keeping all those commuting necessities in place. This could be anything from your phone to a water bottle to bike tools you may wish to carry when you’re travelling on your bike anytime.